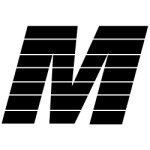 Metropolitan Exteriors Inc., offers residential and commercial installation and repair of all types of roofing, including asphalt, wood shake, slate, and metal. The company also replaces windows and doors and installs gutters, siding, trim, and soffit for residential and commercial properties. Tony was helpful and professional. He repaired the siding on my house, and I was satisfied, so I had Metropolitan Exteriors replace our roof. I am most satisfied with the look and the materials. They were just awesome and fantastic. They recommended larger gutters, which allowed me to better manage the water issues around my house. They met my expectations in all areas. Chris Randall was extremely helpful and really easy to get a hold of. He was very responsive. Jeff was as well. I was most satisfied with their responsiveness, the timeliness and basically how quickly they were able to respond and get the job done for us. It was kind of a last minute thing and they were able to help us out very quickly. They did a very good job. The crew was very polite and worked very hard. I have had a little bit of a problem with them coming out to fix a leak. I'll see with this next hurricane if it is still leaking or not but besides that everything was good. I would like to recognize Chris. He was always there and helped me out a lot. Metropolitan Exteriors did a good job on the siding. They got here after the big wind storm when I called and they fixed what they needed to fix in a timely fashion. They did a good job, but when I had an issue, they didn't address it. They have a poorly run business. I had to call several times to get someone to come out. I was a previous customer of theirs. I was under warranty and when I tried to call for leak repair, there was a miscommunication. They sent people out without confirming a date and time with me. They just showed up. From the sales to the install, just very seamless, very easy to work with; no pressure. They did a siding job. I would give them an A. Everything was OK. I don’t have any bad experience. Metropolitan did the siding replacement for me. I'd give them a B. They were very experienced and very professional. They did the siding on my house. I'd give them an A+. They did magnificent work. I can only compare Chris with another guy we were negotiating with. Chris was pretty good responding to emails, and so he answered my questions. That was basically the reason we decided to go with Metropolitan, because of his interaction. I'd give them an A. There were no problems at all. He did a very professional job. They did siding for me. This company would be an A grade from me. I was very pleased. They were polite, courteous, professional, and did their job. They did siding work for me. They deserve an easy A for the work they performed. Their design work is above and beyond, and they always have the latest trends, but they also have the traditional service. They do some roofing. They do a lot of my remodeling for my home. Overall, I would give them an A+. They were quick, and the price was good. They did siding work. I would give them an A+. The only thing I disliked was finding over a hundred nails gathered around my yard, but I guess that's to be expected. They did siding work. I would give them an A. I didn't have any complaints with their punctuality or expertise.